First of all, I want to talk about your first overseas tour in August, so what were your honest impressions? Incidentally, who said it was rough? Isshi: Nao really hates planes to start with. (laughs) Despite that, we only traveled by plane. Still, he became someone different than his usual self at the lives. He completely left his troubles behind. He showed a face that he doesn't seem to show at lives in Japan. Kagrra, has a lot of songs, right? Because before, Akiya was saying things like "It's certain death to have to play these at lives." Isshi: It was amazing. They were aggressive, you know, all of them. I guess the guests' enthusiasm was also amazing. Isshi: Yes, that's right. If we're in Japan, our words are understood right? So we have words like "this is a song to listen to" and "this is a song that takes you in," but on the other hand they all take you in. Whatever kind of song it is. And what's more, when we do songs such as Utakata they can sing in chorus. Do they know about that, there? I had feelings like that. In Japan, there are many guests who can genuinely listen to the songs. So was the mood of fooling around, so to speak, a fresh experience? Isshi: It wasn't bad. So I was brought back to the time when we started as Kagrra, and had to listen to our songs. I recalled the time when we were the type of band who would be taken in. So you went back to your original intentions? What was your impression about the types of guests? Isshi: There were a lot of men, you know. Even at the signing, a lot of men lined up. Didn't you expect there to be ordinary people? Isshi: Indeed there were such people, there were a lot of ordinary people. I wonder if there might've been people who were listening to the music itself. That's good to hear. Aside from that, do you have any fun memories or were there any impressive incidents? Isshi: I don't know whether this can be considered fun, but we had some time off in Spain. So, we all went to the beach to drink beer...... and my digital camera was stolen. Isshi: Yeah. And that was the last day of the tour, so most of my memories were taken away. Isshi: Really. (wry smile) Well, I guess that had the biggest impact. Because it was the last day, my mood was jolted. That was unfortunate with your digital camera, but going back to our original intentions, wasn't it good to play more aggressive parts than usual? Isshi: It was. So I feel like I want to go again soon. Incidentally, what activity do you have as Kagrra, in the latter half of this year? Is that right?! No way! It can't be fun to do so many lives, can it? Isshi: Since each of the lives are different from the others, I think it's a terrible thing to estimate the value at just one of them. And in our case, we have so many songs that the way we're heard could be like we're changing inside a box. I'm afraid of that every time. What kind of plans do you have for the tour itself? Isshi: We didn't do any domestic lives after we released our single Uzu, so first of all we have to debut the new songs. I think that this time it's really a compilation, with regards to Kagrra's compilations up to this point. That's what I'm calling the songs that appear on our releases. For the melody of Uzu we reveal "the" Kagrra, and for songs like the coupling song Hoozuki, we're trying out something new and using many key changes, so the significance of that is, we want to know that such a band as Kagrra, can do anything for lives. So, after your tour is over, on January 3rd in the new year you'll finally be playing at Nippon Budoukan, right? 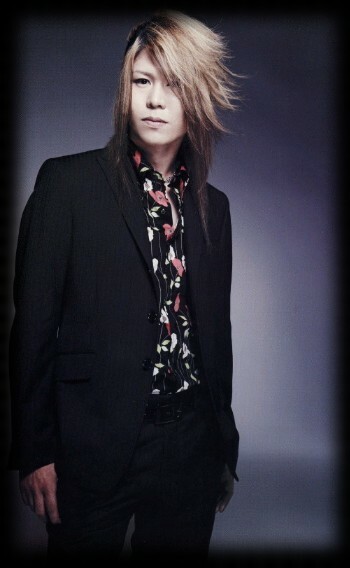 Isshi: Right now it seems mostly for myself, but I'm still doing it as a member of the band. So I'm looking forward to that day. Have you gone to the lives of any other bands there in the past? Isshi: I've seen one many years ago. I think I've matured quite a bit since then, so it will be really fun. Do you feel that as Kagrra, you will genuinely enjoy the event? Do you have any emotional attachments for the Budokan, Isshi? 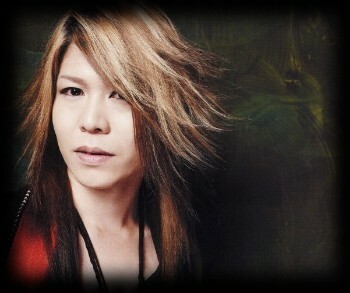 Isshi: I have sad memories of attending SIAM SHADE's breakup live. That was a little unexpected. (laughs) You liked SIAM SHADE? Isshi: The truth is, although I didn't know many of their songs, I can remember that for some reason I went into an awfully sad mood. Well then, aside from the venue, you have memories of SIAM SHADE's live itself. Really? (laughs) Then you must've really enjoyed it too. Isshi: But even so, the venue is so big that in a sense I get a lot of anxiety. As you'd expect, I wonder about the sound, about each section. Isshi: Yeah, it's like that. First of all, if it's a tiny livehouse you can't really feel the difference in the range of the songs, but when it's this big, you can feel the range in the sounds of the two guitars, the bass, and the synthesizer. So, when I don't have the sound of "Here it is!" inside myself, I have to step out and listen. Naturally, I'm thinking of the ear monitors here, but even so It'll be no good if we fully prepare but don't rise to the challenge. Still, because of the tour from November to December, won't you welcome Budokan with good feelings? And December will be your birthday, Isshi, won't it? Well, won't you be super happy to get congratulations from the band members and fans at a live? Isn't it a good thing?! To get congratulations at a live overseas? Japanese fans can read the atmosphere in times like that, right? (laughs) But Isshi, didn't you enjoy it? Isshi: It's not that I didn't, but don't mind me. (laughs) First of all I want people to diligently listen to our performance. Thanks to haipollai at livejournal for the scans!